I’ve written on “Crisis Mapping Analytics” before but the subject warrants more attention. 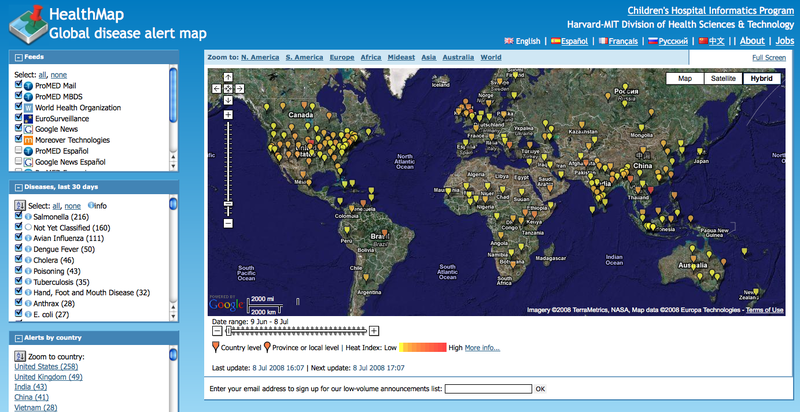 When I looked into developing conflict maps for FAST back in 2004, I realized that the conflict early warning community was simply following in the footsteps of the disaster management community. The latter have been developing all sorts of crisis maps for decades. Why the lag? Most likely because the majority of conflict data is not geo-referenced (beyond the country level, or admin 1). We’ve also been more interested in the temporal dimension of conflict forecasting rather than the spatial dimension—even though the latter can reveal important spatial patterns useful for temporal forecasting. 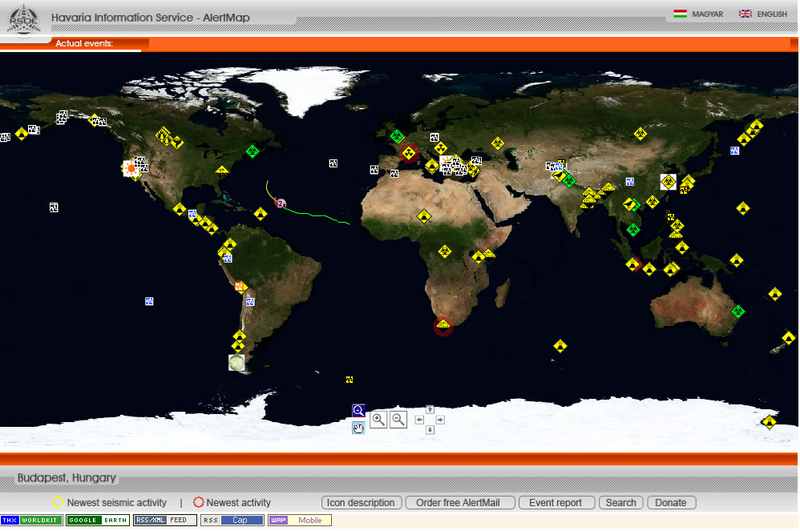 In any case, the disaster community continues to be in the lead vis-a-vis crisis mapping. Of course, they have the advantage of drawing on a wide network of physical sensors around the world to monitor spatially and in real time such hazards as earthquakes, hurricanes, etc. See for example the real-time updated maps by GDACS and Havaria below. The latest in these developments is HealthMap, which is supported by Google.org’s Predict and Prevent Initiative. As reported by Wired, the underlying algorithm parses text from Google News and the World Health Organization to populate the map. But that’s not all, the algorithm also parses discussion groups, filtering the information and boiling it down into mapped data which can be used to track new disease outbreaks. Right now, the researchers are focused on adding more sources, particularly in other languages, as well as improving their methodologies. Freifeld and Brownstein are looking into using more social media sources, but they’ve encountered a problem that most internet users are already familiar with: There’s too much noise. Is the conflict early warning/response field likely to follow suite? Back in 2006, Google.org head Larry Brilliant told Wired.com about his vision for a service that looks a lot like HealthMap. “I envision a kid (in Africa) getting online and finding that there is an outbreak of cholera down the street. I envision someone in Cambodia finding out that there is leprosy across the street,” Brilliant said. Healthmap is not quite there yet vis-a-vis spatial resolution but the question is whether a similar platform for (micro) conflict monitoring would bridge the warning-response gap if it could be operationalized? This entry was posted in Lessons and tagged Crisis mapping. Bookmark the permalink.